*If you are creating a template for Adobe Premiere Pro CC or After Effects CC, please install the “Strawberry Adobe Panel Extension”. 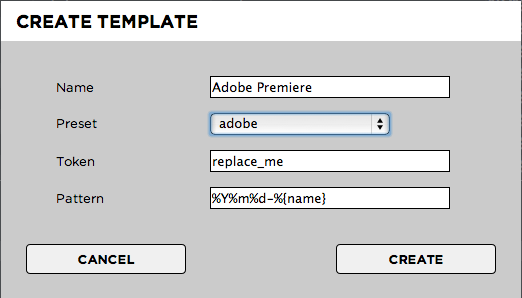 Once installed, open the panel inside your Adobe product and proceed to step 3. This will ensure that the panel automatically launches inside each new Adobe Premiere Pro CC or After Effects CC project. By default, templates are located inside “strawberry-root/templates/”. Save your template inside “strawberry-root/templates/your-template/media_1/” or within a custom subfolder. Project files should not be nested deeper than 1 subfolder inside the template folder. *If you are creating a Template for Avid Media Composer in a mixed Windows and MacOS environment, please send an email to support@projective.io for further assistance.